Dill, Beetroot, Carrot, Chamomile, Coriander, Cucumber, Beans, Lettuce, Lovage, Marjoram, Marigold, Mint, Nasturtium, Peas, Rosemary, Sage, Tansy, Thyme, Tomato and Zinnia. Sow spring to autumn in most areas. Use fine mesh or exclusion netting over the warmer months to prevent butterflies laying eggs on the underside of leaves - caterpillars can destroy these plants. 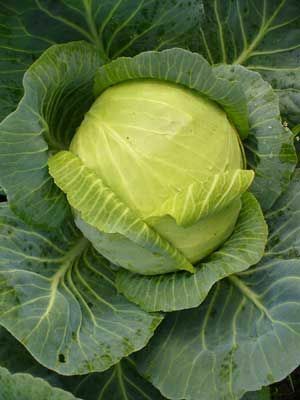 Short maturity cabbages are the most suitable types for sowing during the warmer months. Harvest when heads have reached a decent size and are firm.